How Often Should My Gutters be Cleaned and Tuned? As a homeowner, you’re familiar with your property’s need for regular maintenance. Your gutter system is no exception! Gutters are needed to safely direct water away from your home. Neglecting your system can cause them to fail, causing trouble down the road. Here’s how often your gutters need to be cleaned and tuned—and why it’s important. Why do I need to have my gutters cleaned and tuned? Your gutter system plays an important role in protecting the exterior of your home. Gutters direct rainwater and other collected precipitation away from your home's façade and foundation. Over time, your gutter system will begin to collect materials other than water as well. You’ll find that leaves, pollen, and sticks will begin to accumulate and inhibit the performance of your gutter system. Because of this, the rainwater or snow runoff will overflow, rendering your system completely ineffective. 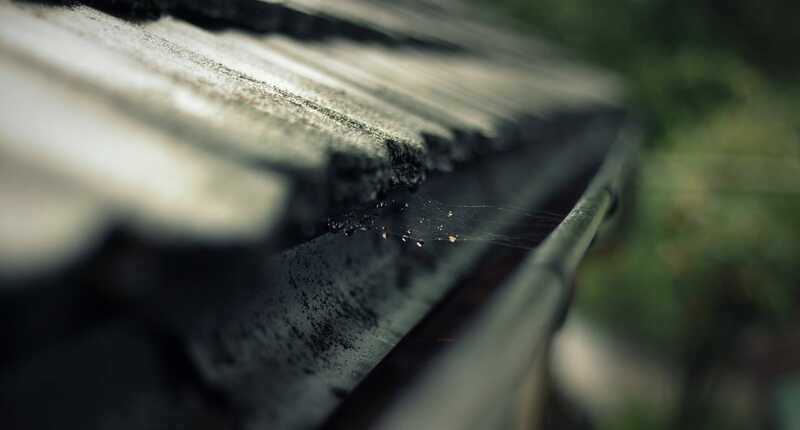 Gutters, like anything else on your home, will also require regular maintenance, often referred to as “tuning.” Typically this includes checking for damage, repairing cracks and leaks, and tightening the gutter’s mounting hardware. If you don’t have your gutters cleaned and tuned, your gutters may become too clogged or too impaired to work properly. For this reason, it’s prudent and necessary to have your gutters cleaned and tuned. What can happen if I don’t have my gutters cleaned and tuned? Without a properly working gutter system, the excess water will overflow and wreak havoc on your siding and foundation. The first problem you’ll encounter with clogged gutters is the development of mold. With standing water in your gutter system, mold will inevitably begin to grow. By the time you get around to cleaning your gutters, you’ll have a sludgy mess on your hands. On top of that, standing water will attract unwanted pests and may become an insect breeding ground. A much more serious problem will develop if you continue to ignore your gutter system. The water that would be safely diverted away from your house by the gutters will run down the façade of your home and sit. The excess moisture around the base of your home can cause the foundation to crack or the basement to flood. Ignoring your gutters can lead to a major headache in the future. How often should I have my gutters cleaned and tuned? Most professionals recommend having your gutters cleaned and tuned at least two times a year, in the spring and fall. Depending on your surroundings, you may need to conduct maintenance on them more often. Pine trees, in particular, can be a major hazard for your gutter system. If your yard has a lot of trees, you should consider having your gutters cleaned and tuned once a quarter. Keeping your gutter system cleaned, repaired, and working properly will ensure that your home is protected from water damage in days ahead. If you don't feel confident in your ability to safely and effectively care for your gutter system, enlist the help of a local professional. If you need gutter services in the Roaring Fork Valley, contact Pacific Sheet Metal. For more than 50 years, we've provided Western Colorado with reliable services at a fair price. Your gutter system plays an important part in the ecosystem of your home. Keep your gutters working properly with the help of Pacific Sheet Metal. Request your repair now.